The little girl in these paintings has a little window on her chest. I looked more closely, and one of the gallery assistants stopped next to me to talk. I thought back, in that moment, to the times I sat vigil in a hospital room next to Sammi as she recovered from cardiac surgery, the clothing around me rumpled and stained, my vision narrowed into a single field that included only Sammi and the machines monitoring her. I saw, in Marcenivo, some of myself and my husband. 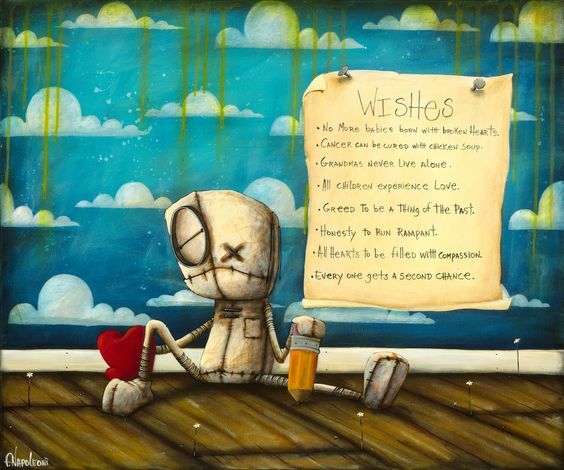 I saw the ever-present heart — his, mine, Sammi’s, the world’s — and I knew that I needed to own some of Fabio Napoleoni’s work. I called my husband over and showed him the paintings, then told him about the artist. We agreed that this was just too beautiful — and too perfect — for us to pass by. Eventually, we chose to marry the three concepts that have bound our hearts to Sammi’s: the images we cannot shake, the words on which I so rely to describe our experiences, and the destination for this painting — our kitchen — where I have spent so many hours desperately trying to feed my child back to health. This painting is on its way back to our home now. It’s our first by this kindred artist. It won’t be our last. Note: all of these paintings are linked directly to the artist’s site or to a gallery that represents him. I don’t own the rights to any of them. Please do not share these without proper attribution.